06 Şubat 2019 Çarşamba 15:00 - 9 reads. The death of an Eleven-year-old who was being bullied, according to statements of parents ' representatives at a Berlin elementary school, apparently, and in the last week of the life of the area, employing many people. 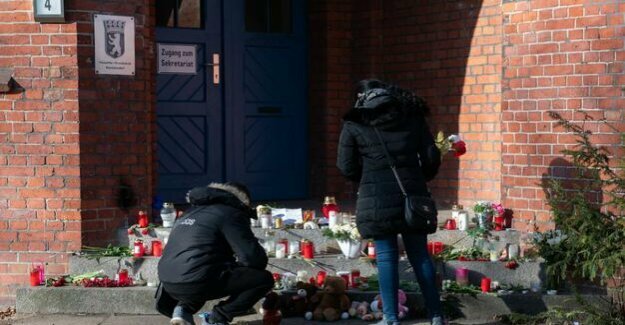 At otter elementary school in Reinickendorf, it is reported how – after the tragic events commemorative events to be given, in which flowers are laid and candles were lit. Yeliz Demirel besieged also noted that the Removal of the flowers and candles occurred in the last week, at the initiative of the head of the school, but because the girl's parents, whose apartment is under siege since the days of camera crews, had asked. The parents are now in constant contact with the school's Director, says Yeliz Demirel. The wool is well set up today, Wednesday, a funeral room in the school building – not the memory of the road to banish, but to fulfil the request of the parents, and to protect the students. Isabella Heuser, Director of the hospital and University clinic for psychiatry and psychotherapy at the Benjamin Franklin Campus of the Charité hospital in Berlin, the very useful. "If the kids have to run every Morning at wreaths and lit candles, it can be very for some of them terrible. Especially students who were being bullied, could be re-traumatized.“ Much more important is it that the head of the school, convening at the beginning of the lesson, a meeting with parents, teachers and students, in which they make it clear that bullying, but also any other kind of psychological and physical violence at this school will no longer take place. "And this should be done in every case, regardless of whether the girl's death had something to do with bullying," says Isabella Heuser.